This giant domino is one of house decoration which made of wood material. Some people called it as house decoration furniture and some people called it as wooden handicraft. 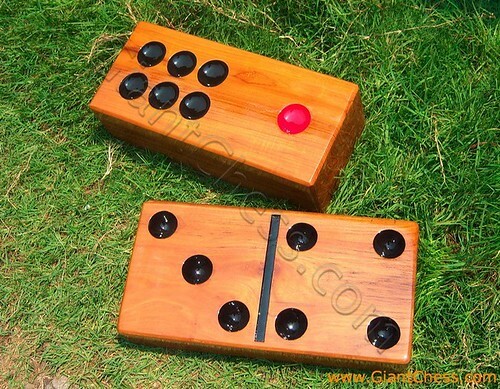 Whatever it is, this giant domino is one of great and unique wooden product which perfect for house decoration, office decoration, hotel decoration, or you can put it in library, school, patio area, and so on. To make an inexpensive, creepy, and fun yard or garden for some event, you can use this wonderful giant domino card. It has prepared for outdoor use, so you can put it indoor and outdoor because this giant domino has made of best quality of Teak wood. It also has polished in good way to avoid wood damage that probably happen anytime. But trully, thia wooden giant domino will give a different touch in your house.